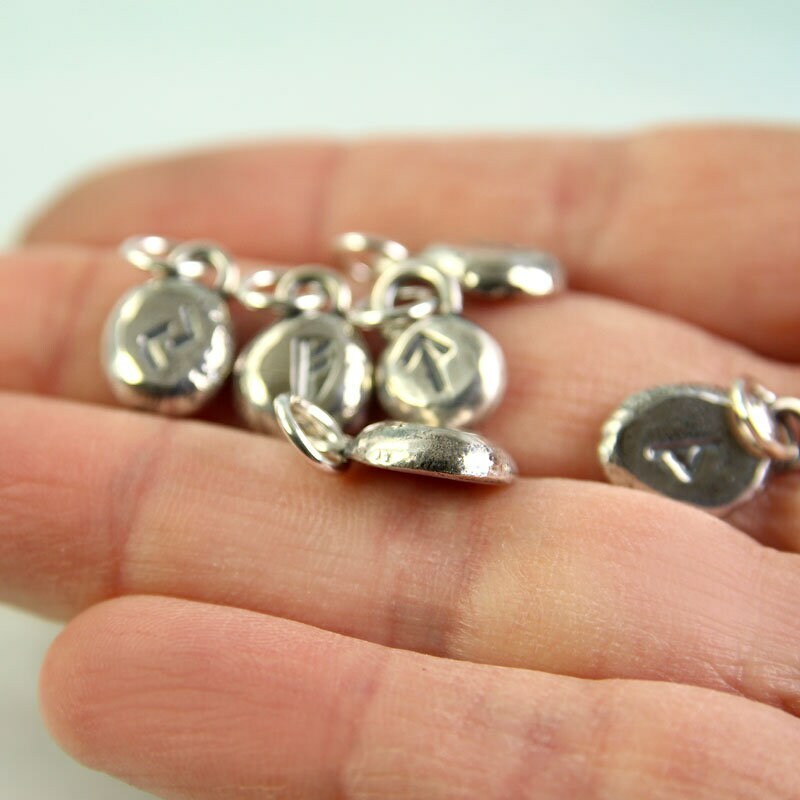 A little Viking pendant that could have been made a thousand years ago. 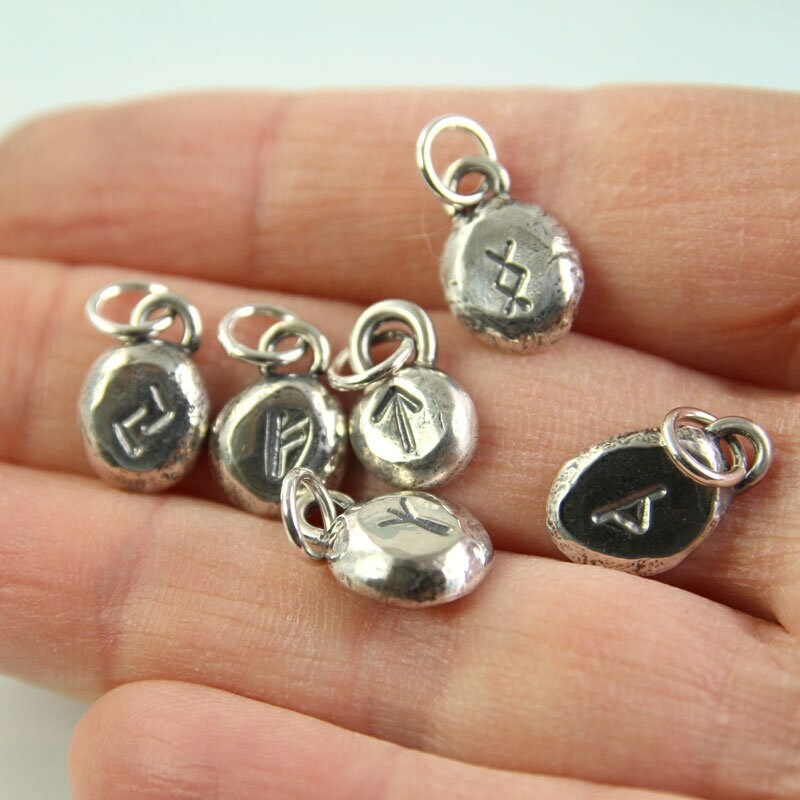 I have melted 2 grams of silver into an organic ball, then flattened the face to make room for a single rune. 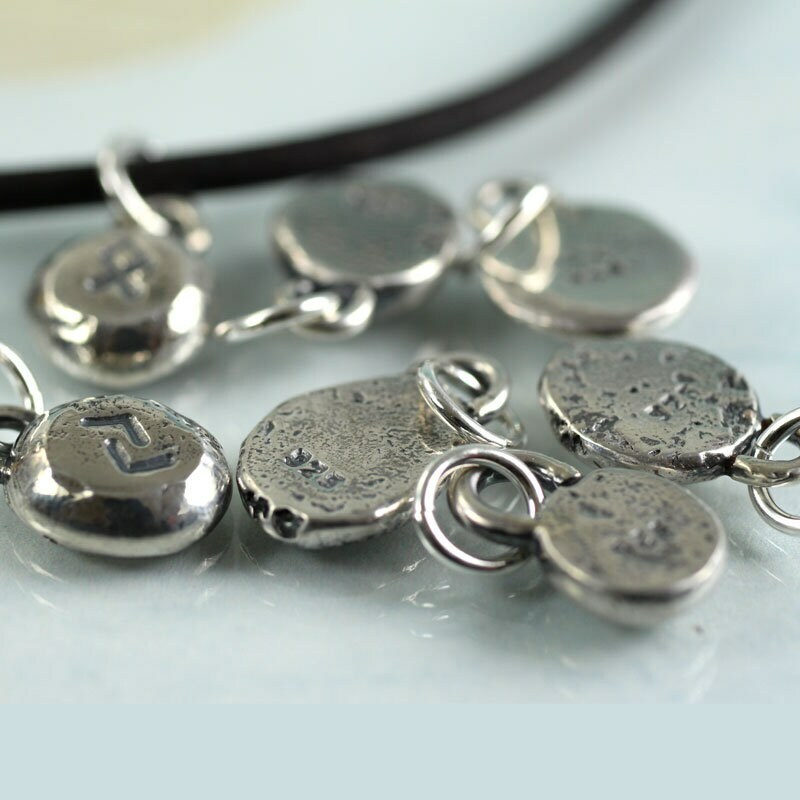 I then stamped it with 925 on the back (for sterling silver) and added a little loop to thread a jump ring through. 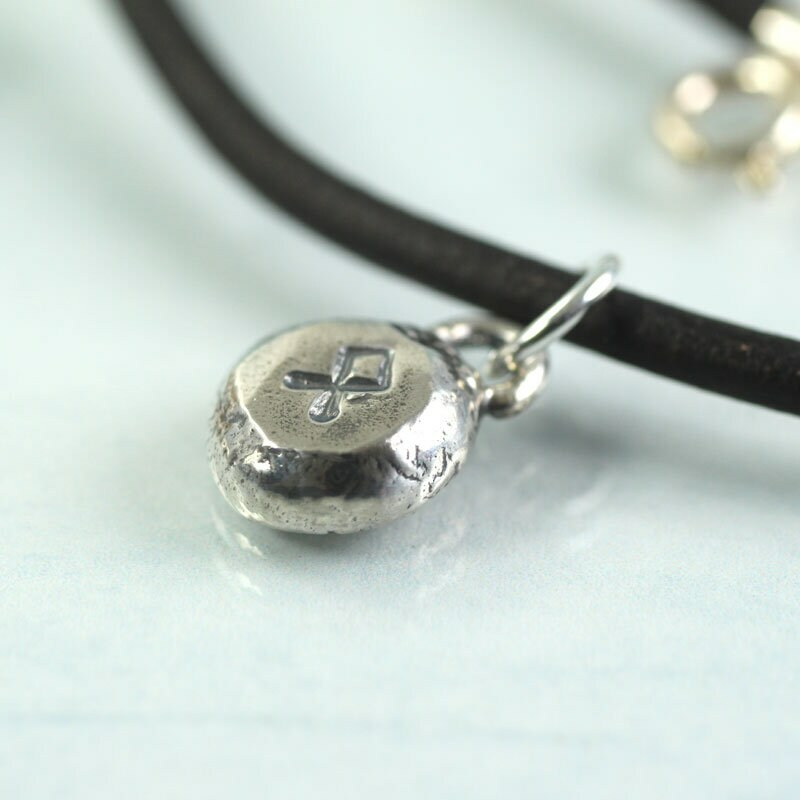 The little charm was then oxidised (blackened) and polished. 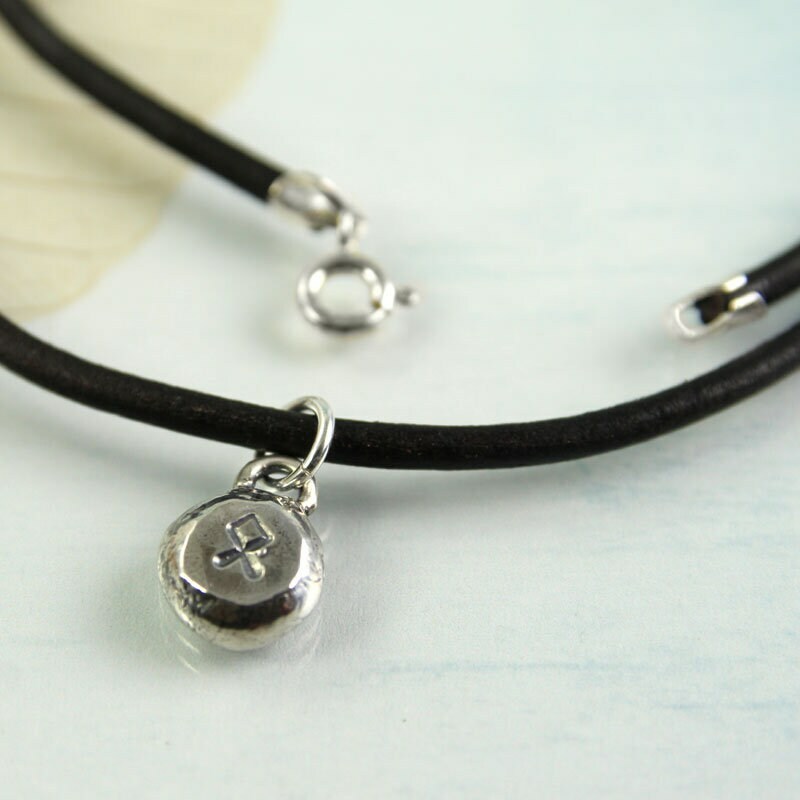 The result is a unique little rune pendant with an old feel - an heirloom handed down through generations of Vikings. 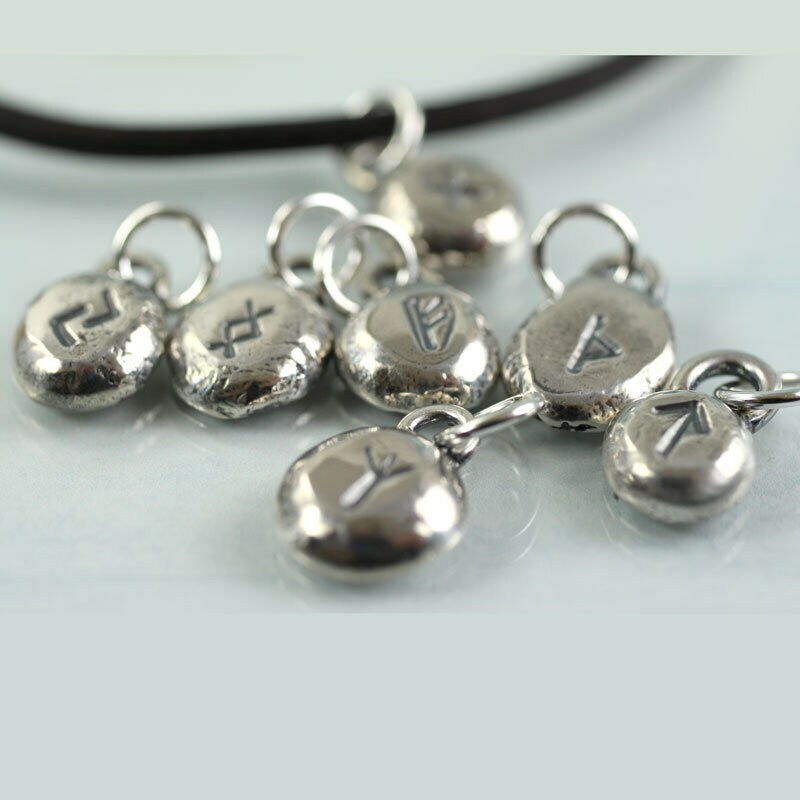 Choose a rune that has special significance to you. 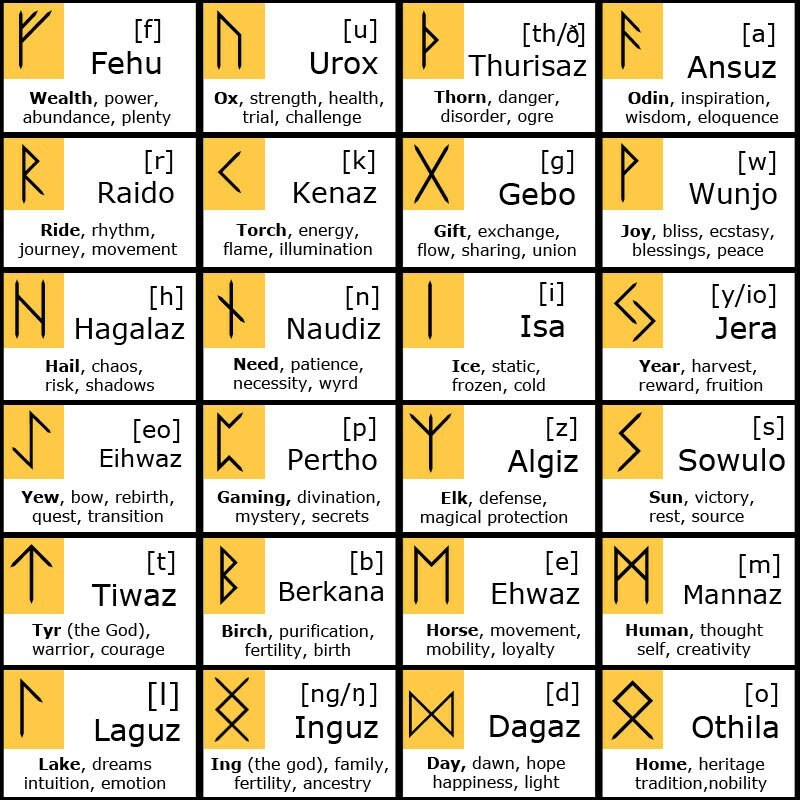 If you need inspiration have a look at the chart in the photos for some of the meanings that have been ascribed to each rune through the ages. 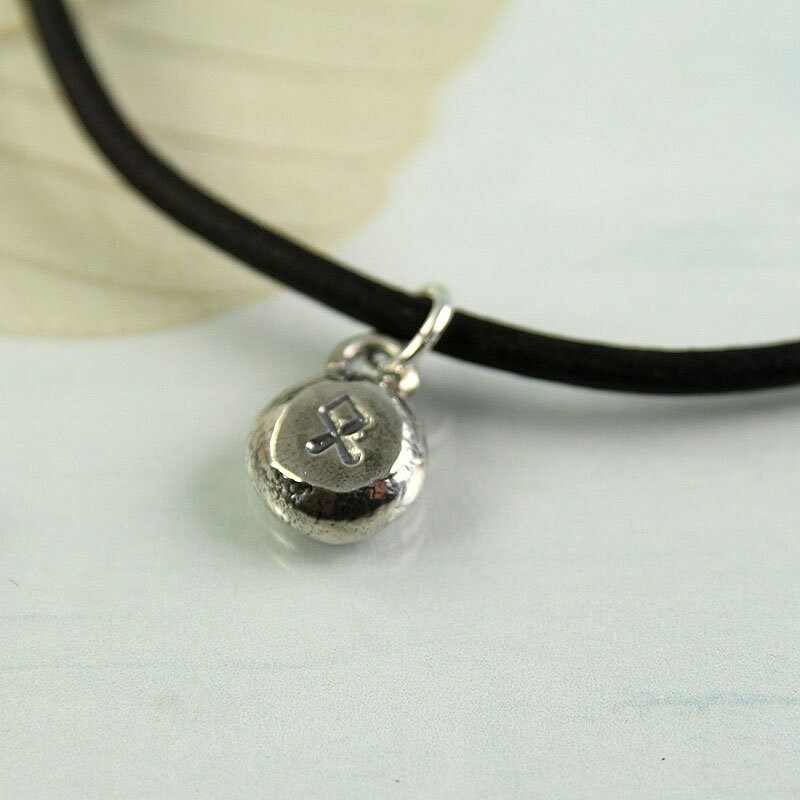 Gorgeous little Rune charm! Looks wonderful on the leather chocker! Thank you so much! 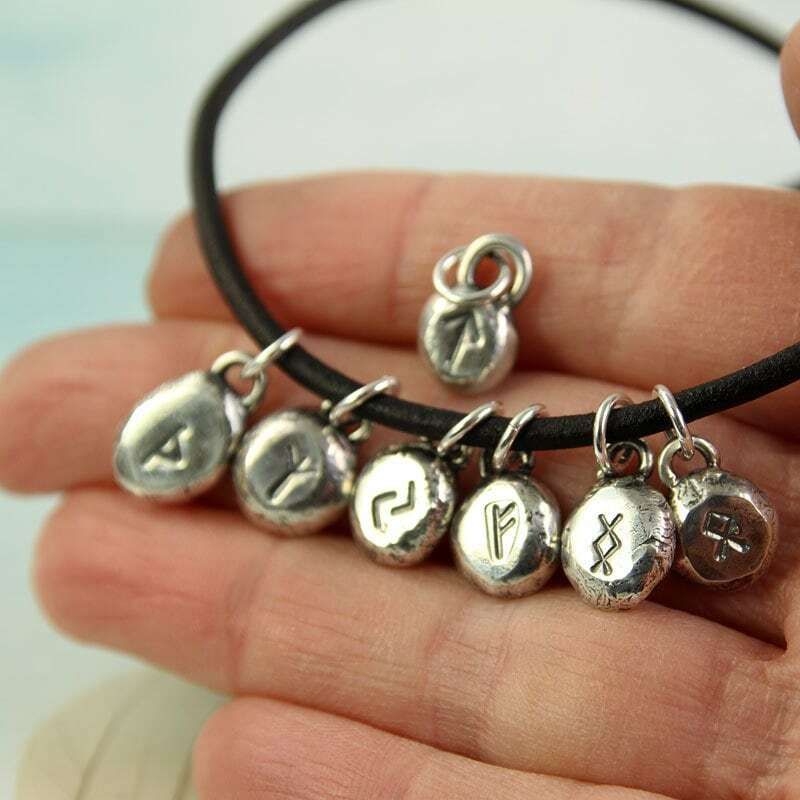 Gorgeous little rune pendant, exactly what I was looking for.I have been wearing it since I got it and I love it. I have even felt a little more lucky than usualsince I started wearing it.